Many of the Republican and Democratic presidential candidates started their campaigns over a year ago. In that time, many — from Ted Cruz and Marco Rubio to Martin O'Malley — have also dropped out of the race. After a number of debates, as well as controversies pertaining to superdelegates, it's finally almost time for the Republican and Democratic National Conventions. If they can all afford to show up — given that they have to obtain funds for airfare, hotels, meals, and other expenses on their own — there will be a maximum 2,472 delegates at the 2016 Republican National Convention in Cleveland, Ohio, of which 1,542 are bound to support presumptive Republican nominee Donald Trump. It's unlikely that every single delegate will be able to attend, but at this point, it looks like there won't be a contested convention, which is what happens when none of the candidates wins a sufficient number of delegates. In this case, that magic number is 1,237, or half of 2,472 plus one, and he'll likely at least get that turnout. Cruz and John Kasich — Trump's final opponents in the race — both dropped out months ago. But Trump still doesn't necessarily have the nomination in the bag if delegates vote their "conscience" rather than based on their states' primaries. CNN reported that Trump supporters are worried because according to longtime Republican Randy Evans, they've only marshaled 888 of the necessary 1,237 delegates that would be required to block any anti-Trump actions. However, it's clear — if it hasn't been for a while now — that #NeverTrump Republicans have their work cut out for them at this year's convention. The delegate tracker for the RNC also indicates that the convention will likely be significantly lacking in diversity — which isn't very surprising, given the Republican Party's continuation of Nixon's racist legacy. As of last month, the number of black delegates projected to be sent to the convention was just 18, according to The Washington Post. That projection isn't final, of course, but if that figure holds, black delegates would make up just 0.7 percent of the 2,472 delegates expected at the convention. In any case, despite many's wish to avoid an unnecessary amount of contention at the RNC, it looks like the Republican Party is going to have to go through a number of hurdles to reconcile Trump's lack of favorability with a desire to unite the party. 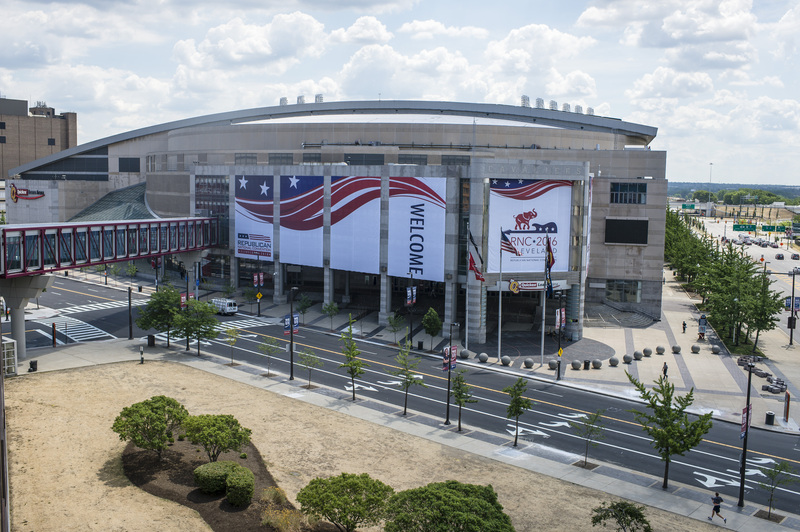 The Republican National Convention is set to start on July 18 at the Quicken Loans Arena in Cleveland.